While our primary business has shifted focus towards wholesale rim half distribution, we still offer some wheel services. At this moment, we are using discretion in what we take on, but please do not hesitate to ask! Our main business is in the wholesale supply of custom lips and barrels. 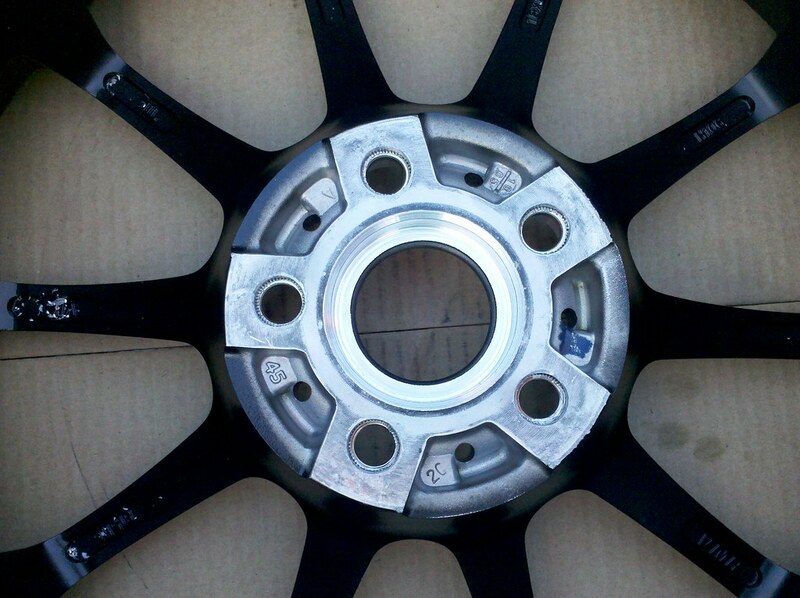 We can provide replacements and custom sizes for the majority of 3 piece wheels out there from 14" through 20". Please use the contact form to inquire. At this moment, we are only re-lipping and re-barreling modular wheels. That includes any wheel where the center can be unbolted. We are being selective on all 2pc. welded wheels and custom 1pc. to 2pc. conversions. Enlarging the center bore runs $30 per wheel. Bend & curb rash repair is quoted on a per case basis. This may require disassembly and reassembly on multi-piece wheels. We no longer repair cracks. High polish, may require chemical stripping. Pricing is $30 per lip, and $400 per set (1 piece wheels). Please contact us with your specific inquiry. Highly durable finish in a wide range of colors. Will require chemical stripping. Pricing starts at $300 for a set of faces or $400 for complete rims. Chrome, Black Chrome, Nickel, Copper, 24K Gold, etc - we offer it all. Please visit the online store to purchase (or browse) for parts. Contact us with your inquiry now!